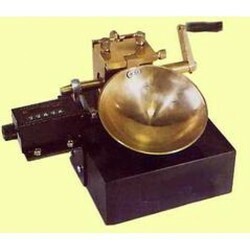 Our Various Soil Testing Equipment products are Compression Testing Machine, California Bearing Ratio Test Apparatus, Marshall Stability Testing Apparatus, Ductility Test Apparatus, Liquid Limit Device, Pentrometer, Direct Shear Apparatus, Field Density Test Apparatus, Test Sieves, Sieve Shaker, Vicat Needle Apparatus, Cube Mould etc. 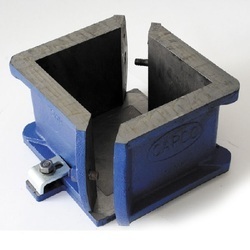 We offer the wide range of Cube Moulds. All molds are supplied complete with a base plate. The Laboratory C.B.R.Test Apparatus(CBR) is a penetration test for evaluation of the mechanical strength of road subgrades and base courses. 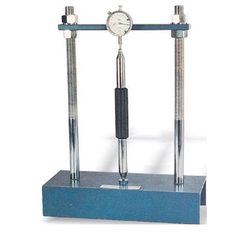 The test is performed by measuring the pressure required to penetrate a soil sample with a plunger of a standard area. The measured pressure is then divided by the pressure required to achieve an equal penetration on a standard crushed rock material. 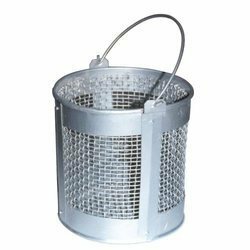 Density Basket wire mesh steel for density tests on aggregates as per procedure laid down. 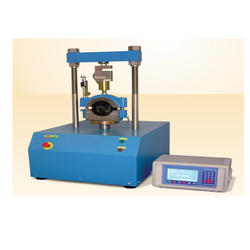 We Innovative Instruments Leading Manufacturer provide the wide range of Marshall Test Stability Machine. 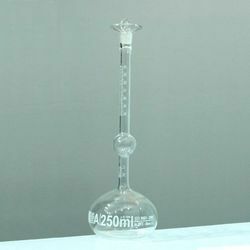 We offer the wide range of Le Chatelier Mould.This apparatus is used for determination of the dry density of compaction. 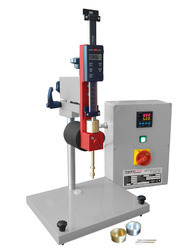 which can be adjusted for the head, a rack & pinion and pointer which provides for fine adjustments of needle or cone tip to sample incorporated a slipping clutch mechanism which makes the reading of penetration and subsequent repeating a simple and accurate operation. The penetrometer is provided with automatic timing control device. 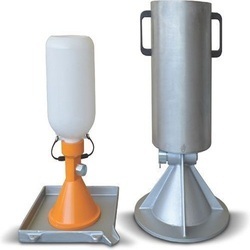 We offer wide range of Sand Pouring Cylinder.This apparatus is used for determination of dry density of compaction. 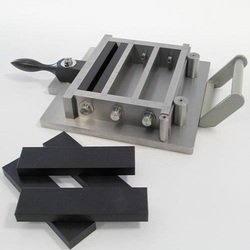 The Shrinkage Bar Mould is used for casting specimens of cement aggregate combinations for measuring the potential expensive alkali reactivity. The parts of the moulds are tight fitting and firmly held together when assembled. Supplied complete with base plate and four stainless steel smooth reference pins. The Liquid Limit Device is defined as the moisture content at which the soil passes from plastic state to liquid state. It is very helpful in the classification of the potential properties of the soil material. 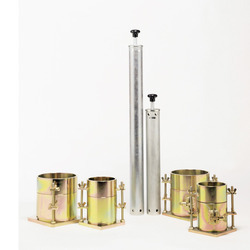 The Liquid Limit Device consists of a hard rubber base carrying a sliding carriage assembly to which a brass cup is hinged. The cup is raised and allowed to fall through a height of 1 cm on to the hard rubber base, with the help of a Lead Screw. We offer the wide range of Standard Compaction Test to our valuable Clients. 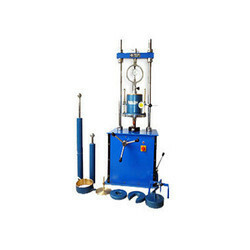 Slump Test Apparatus is used for the determination of the consistency of freshly mixed concrete. 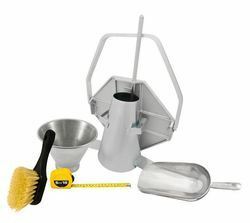 Consists of one slump cone with handles and foot pieces. 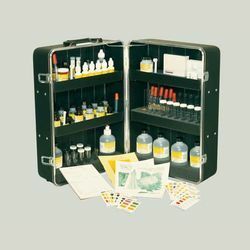 Looking for SOIL TESTING EQUIPMENT ?